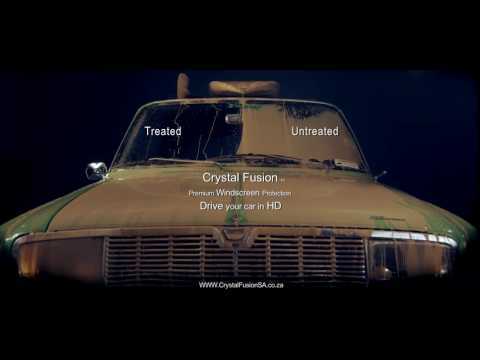 Crystal Fusion drastically improve your visibility and Safety on the Road! Every windscreen serves the same purpose. It’s the view between you and the road and anything you can do to enhance that view is something you should do, Right? The manufacturer’s warranty does not cover your windscreen. Crystal Fusion gives you protection. Crystal Fusion helps drivers see better at times when they struggle most. Crystal Fusion’s application compares to viewing a High Definition television. You wouldn’t buy a standard TV after experiencing the clarity of a High Definition picture, would you?